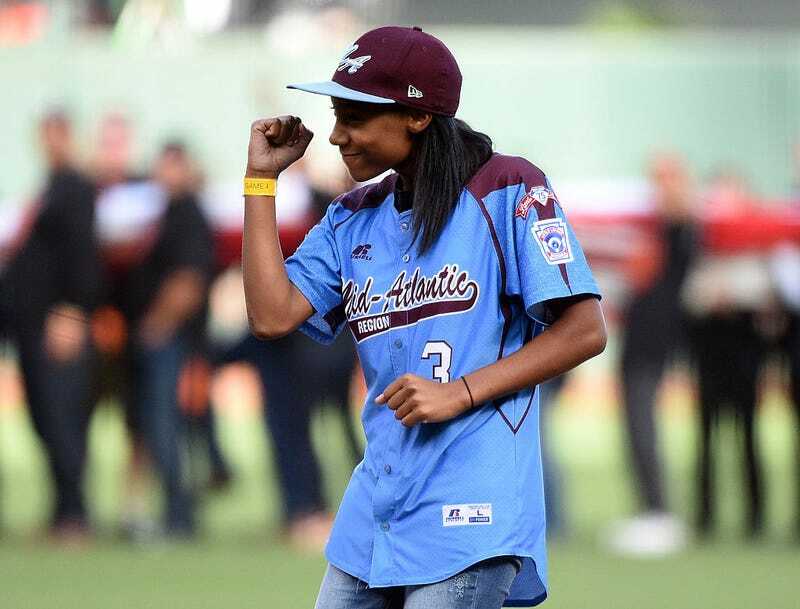 Here's Mo'ne Davis showing that she's better at pitching than you are at anything. Here's Mo'ne Davis's coach explaining why she's better at what she does than you are at what you do. Here's Mo'ne Davis's family explaining why she's better at what she does than you are at what you do. Here's Mo'ne Davis holding a framed picture of her Sports Illustrated cover. This is more awesome than anything you've ever done. Here's a White woman with a serious vocal fry explaining why Mo'ne Davis inspires even White women with serious vocal fry to explain why she's better at what she does than you are at what you do. Here's Mo'ne Davis repping Philly better than you've ever repped any city.